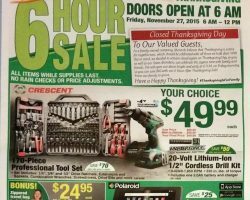 View Menards Black Friday 2015 ad. 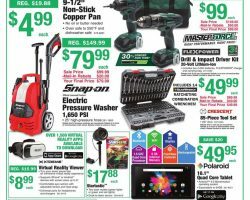 Save with this year Menards Black Friday deals on cordless drill kits, flying stuffed animals, tape measure sets, wrenches & screwdrivers, rotary accessory kits, invertor generators, LED pocket light sets, carbon series flashlight, LED scouting camera and queen airbeds. 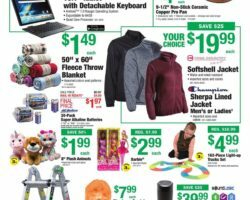 Menards Black Friday 2019. 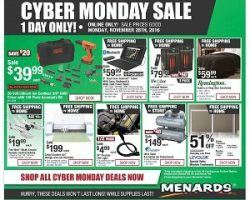 Find Menards Black Friday ad, deals and sales for 2019 from blacknfriday.com. 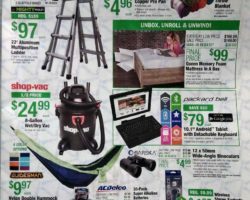 Don’t miss this year best Black Friday Deals & Pre Black Friday sales & specials. 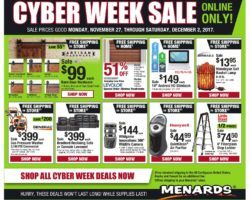 An American company that specializes in hardware, Menards is a top industry retailer that goes as far back as 1960, having evolved nowadays to approximately 300 stores across 14 states including Iowa, Kentucky, Indiana, Illinois and Wisconsin. The retailer carries many departments both in stores and online, and among most shopped are appliances, home décor, paint, tools and hardware, heating and cooling, electrical, and flooring. 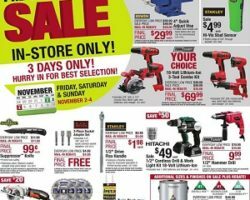 The retailer usually features various sale events, lowering prices every day on anything from caulk & sealants to insulation products, decking and many others. In addition, the retailer features Black Friday sale year to year, providing many savings storewide. 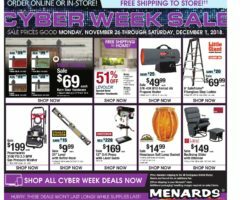 Last year the Menards Black Friday event marked hundreds of dollars off select products such as Forest King 30-Ton Log Splitter that featured $900 savings, Heat & Massage Bonded Leather Rocker/Recliner that featured $220 savings and others in the same category. The retailer opened doors at 6am for Black Friday and rolled deals throughout the day.